KBN, a leading empowered ICT, CONSTRUCTION and a solution provider on aluminium based projects. KBN is a provider construction and aluminium solutions, services and infrastructure development to its clients across all industry sectors in South Africa. KBN has established strategic alliances with leading suppliers ensuring that our clients are always ensured of a solutions oriented approach. KBN has been certified by an Empower logic rating as a Black Owned Company. KBN has received a level 1 rating, the highest level of BEE rating. Black Economic Empowerment recognises that the construction sector plays a key role in poverty reduction in developed nations of the world. It is in this regard that companies will utilize its experience, knowledge and its resources to rigorously support and nurture aspiring professionals from the previously disadvantaged communities through creation of opportunities in the construction sector particularly for the rural communities. It is the belief of KBN that the legacy of a disadvantaged nation cannot be sustainable if peace and stability is to prosper. Therefore, in order to respond to the call of redressing the past imbalances whether it is economic or otherwise, we believe that it is imperative for KBN to invest in its future by investing back into the communities in which we live and work in South Africa. KBN has established programmes with our brand partners to leverage resources which will realize an empowerment strategy that is sustainable. Furthermore, KBN wants to establish a learner-ship initiative with ISETT SETA offering learner ships for NQF level 4 and 5 for technical support, desktop engineering and systems development. KBN, a leading empowered contractor and a provider of solutions, services and infrastructure to its clients across all industry sectors in South Africa. KBN has established strategic alliances with leading software and aluminium hardware suppliers ensuring that our clients are always ensured of a solutions oriented approach. KBN strives to provide clients with results and business benefits, helping our clients reduce technology investment costs, decrease risk, improve productivity and increase customer satisfaction.KBN strives to deliver world-class and cost effective solutions to our clients. 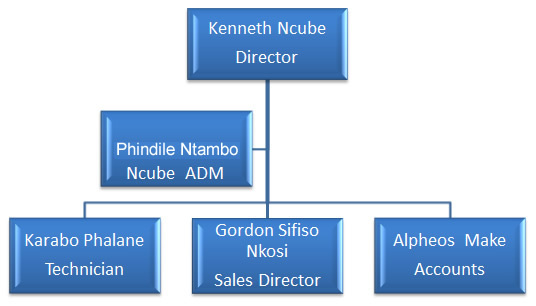 KBN has an enviable customer base and a footprint in Gauteng (Johannesburg and Pretoria), Limpopo and Western Cape. The company is owned and managed by an individual from previously disadvantaged communities who have diverse business skills in Information Communication Technologies (ICT) and strategic management. KBN is a 100% black-owned company. At KBN, Corporate Social Investment (CSI) is a key component for the success of our group of companies. We have recognised the importance of creating sustainable programmes that support not only our business drivers but also encourages and supports the broader community. Partnering is fundamental to achieving success and to this end we have chosen partners who share our vision for building programmes that make a difference to individuals, societies and government. Corporate social investment is not only about giving in charity, it is about making an investment in the potential of people and societies and helping transform that potential into empowerment. The measure of good corporate social investment is the impact our programmes make into the future. KBN is passionate about empowering this community and have developed a sustainable operational plan to be implemented during the course of 2008. To be the first choice in providing value defining technology, aluminium products and construction solutions. To deliver customer excellence through responsible stakeholder relations that yield business enabling solutions.